Killamarsh Secondary School. Mr Thornton’s class. Back row 6th from left Jimmy Batterham. Middle row 6th from left Jill Armstrong. 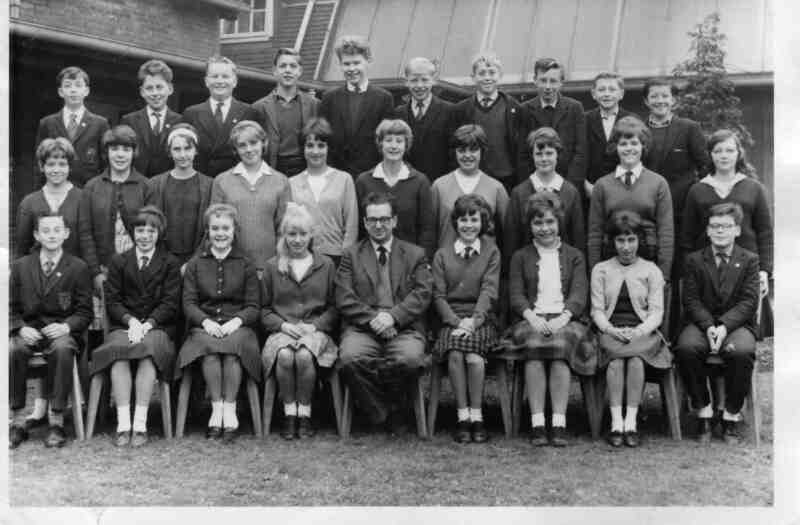 Thanks – bought back so many memories – where are they now, I am living in Southend-on-Sea – teaching at the College. I recognise quite a few faces on this photograph, although not all of them. Cany anyone put names to them? Keith Bailey, Martin Hibbert, James Whiteley, Jack Cartwright, Ivor Burton, Jimmy Batterham, Graham Smith, Chris Brownlow, Steve Cartwright, Evan Davis. Ros Vernon, Linda Sewell, Susan Phelan, Shirley Childs, Susan Atkinson, Jill Armstrong, Joan Barker, Sandra Hurst, Brenda Limb, Linda Sullivan. Michael Clarke, Linda Jones, Sheila Pattison, Margaret Lowe, Mr V Thornton, Beryl Limb, Kath Parsons, Carol Perkins, Eric Morris.